I know the title made you think she was running for president, but college-radio favorite Janelle Monae says she doesn’t want to let anyone know her sexuality because she doesn’t want any specific gender or group to stop liking her. And she means it not in the “I hate you, I want to light you on fire and swing you from a noose” type of way, but in the “ohhhh baby I love your way,” way. Nelsan Ellis has played the wildly flamboyant Layfayette on HBO’s True Blood for the past five years (he’s straight in real life). 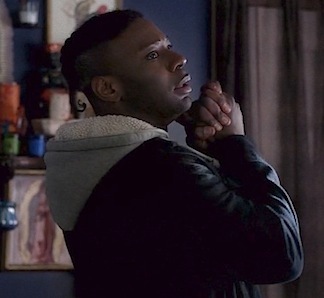 Creator Alan Ball decided to stray from the Charlaine Harris books the show is based on when he kept Nelsan’s character alive. Ellis told EW in 2009 that Ball didn’t tell him he wouldn’t be killed off until the 12th episode of season one.